The Tom Landry Fitness Center is located on the Baylor University Medical Center campus, and is recognized as one of the nation’s premier wellness and fitness facilities. The highly advanced complex combines sports medicine and science, human performance research, physical and cardiac rehabilitation, and comprehensive health and fitness programs all under one roof. The fitness center is one of the largest hospital-affiliated fitness centers in the Southwest and serves as a hub for numerous health programs and community activities. 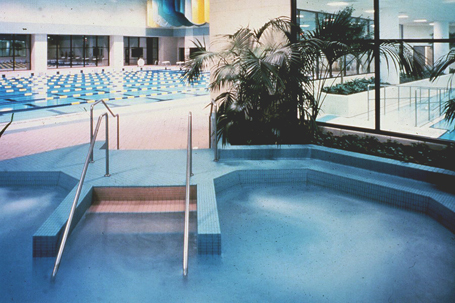 Counsilman-Hunsaker was retained as the designer for the center’s aquatic components. The fitness center will continue to be on the cutting edge of medicine as now more than ever, aquatics are being recognized as an important tool in exercise, therapy, and research. Similar facilities are being designed by medical centers across the nation seeking aquatic benefits for their patients as well as general wellness and fitness programming.